The state of UI design in most vehicles today is widely criticized for being unintuitive, outdated, and aesthetically unappealing. Car manufacturers have been slow to implement the quality of design that other industries assume as standard. As a result, many designers have taken on this opportunity to speculate how the future of vehicle UIs will change our driving experiences. There are more developments in the automotive industry seemingly every day. So much so in fact that the car industry predicts more change in the next two decades than it saw in the previous century. Therefore, cutting edge digital designers should focus their attentions towards this critical industry. So, what will be the future of vehicle UIs? Can they fundamentally change our relationships to our cars? 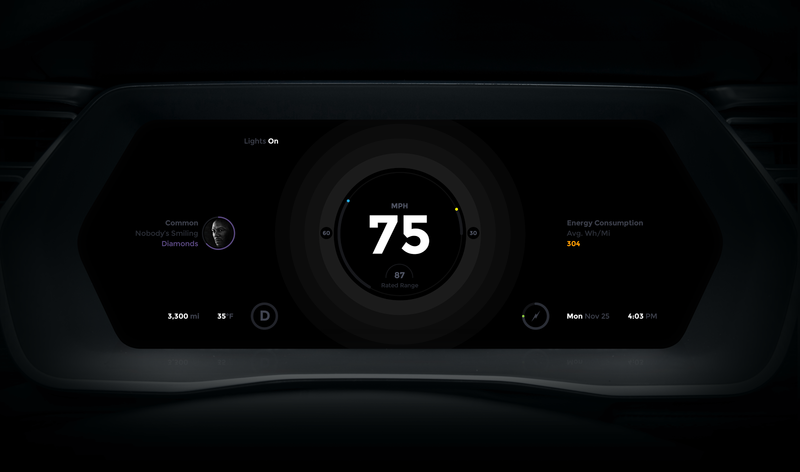 The following is a curated collection of beautiful and futuristic Vehicle HUDs (Head Up Displays), Interactive UIs, and third party app controllers created by different designers from around the world. Some of the designs are captured from live products, and some are still in development. Have you ever felt the paranoia in wondering whether or not you’ve locked your car doors, switched off the lights, or handed over your keys to your teen who has just learned to drive. This mobile app prototype lets you check all of this without having to budge from your seat. Have a diesel hybrid? You can even start up the engine while you eat breakfast to get the frost off. As for sensory feedback, the intuitive animations and transitions let you know when an action is executed and completed. 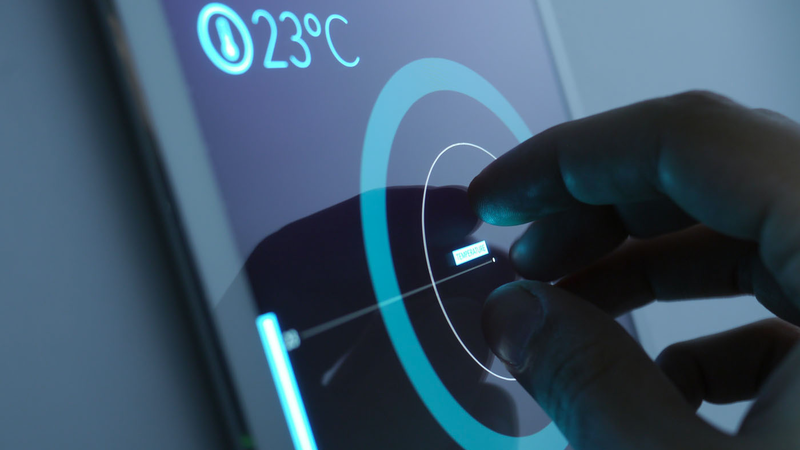 This UI looks at a universal control model driven by muscle memory using touch gestures. The number of fingers on a surface and their movements trigger actions, as made standard by Apple’s iPad, magic mouse, and other operating systems. In this case, movements increase or decrease values. The UI removes the need to memorize all of the little controls and extensive iconography library, thus allowing you to use the same gesture, or its variants, to accomplish multiple tasks within different categories. You can view the entire case study and get to try out the prototype here. Vehicles will become smarter as utilities share more of the same spaces, and functions become increasingly interconnected. With these developments, the data put out in front of us may become overwhelming, as it did for our phones and anything else that was ever meant to be a single function device. It should only be natural that we have some control over what we see and how we see it. AI and machine learning will take control of intuition, and this Bureau Oberhaeuser prototype does an excellent job of bringing it all to light. You can view the case study and see it in action here. Remote Vehicle Health Test and Control. It’s only getting harder to pick up a wrench and clank away under the hood when things seem to be going awry with your vehicle. With all of the systems becoming electronic, computerized, and covered to look pristine, pre-empting where the faults are isn’t so intuitive. This mobile prototype interprets the health data of your vehicle in a language you understand to let you make the necessary repairs before embarking on your coast-to-coast road trip. When conducting on-the-go tire pressure checks this interface will let you know individual pressure ranges and exactly how much to top up by. This interface provides such fundamental feedback that it should come stock standard. It goes without saying that drivers should keep their heads up on the road, but inbuilt mobile navigation interfaces still lead to occasional accidents when drivers look to their phones for directions. The Hudway app makes it easy to power the second screen experience into your windshield. 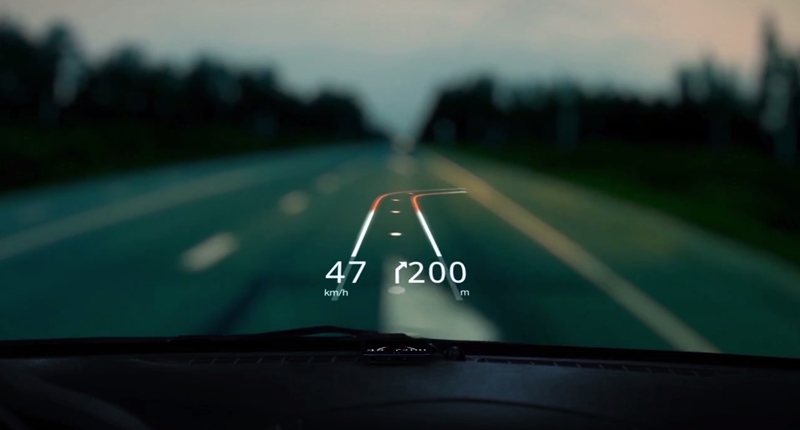 Glass is the surface of the future, and this navigation app takes advantage of that real estate to give the driver an extension of his mobile, along with turn-by-turn voice prompts. This UI is perfect for the intrepid adventurer. If you want to discover what’s around you quickly, this app lets you bring out the spontaneity of travel within a confined route (and hopefully keeps you on the right side of the road too). Everyone saw this one coming. It’s a no-brainer if you already have all things Apple, you might as well just inject your car with their products too. 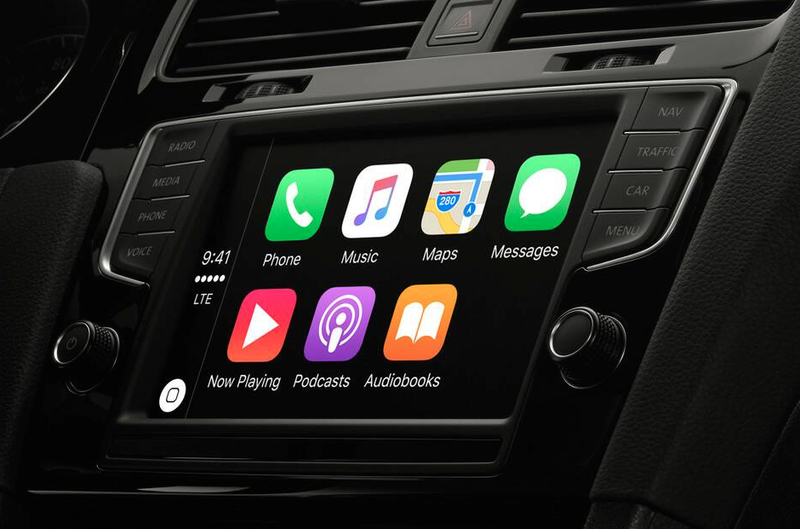 Apple Carplay is the next level of second screen interactions, and it will only get better from here on. There’s nothing like revving up the engine and having all your instruments light up and play in unison like a finely tuned marching band. You get sensory feedback from everything around you through sound and delayed visual interactions, as well as micro animations that provide intuitive signals for when your next turn is approaching, and your fuel is low, or tire pressure is looking off. However, there is a certain weariness that comes from replacing every analog function with a digital display. Often there are no manual overrides, so if a fuse pops, or the electronics fail, your drive will quickly become a straight shot home. As wearables become an integrated part of our connected devices, it’s a no-brainer that your handheld may be alleviated from its duty to control the most astute parts of your related product ecosystems. This prototype explains well how this can translate to the wrist. Check out the prototype in depth here. This is how we see the current state of cutting edge vehicle UX design today. What other products are pushing the boundaries that you know of? What do you think about this set of designs? Join the discussion and let us know your opinion below! Muwuso is a senior interactive art director and multidisciplinary designer with key focuses in digital, brand, and experience design. Over the past nine years, he’s led UI and integrated experience design in-house and remotely for some of the world’s biggest—and smallest—brands and agencies. He is constantly inspired by the evolution of technology, its influence on human behavior, and the resulting impact on environments and micro-cultures.